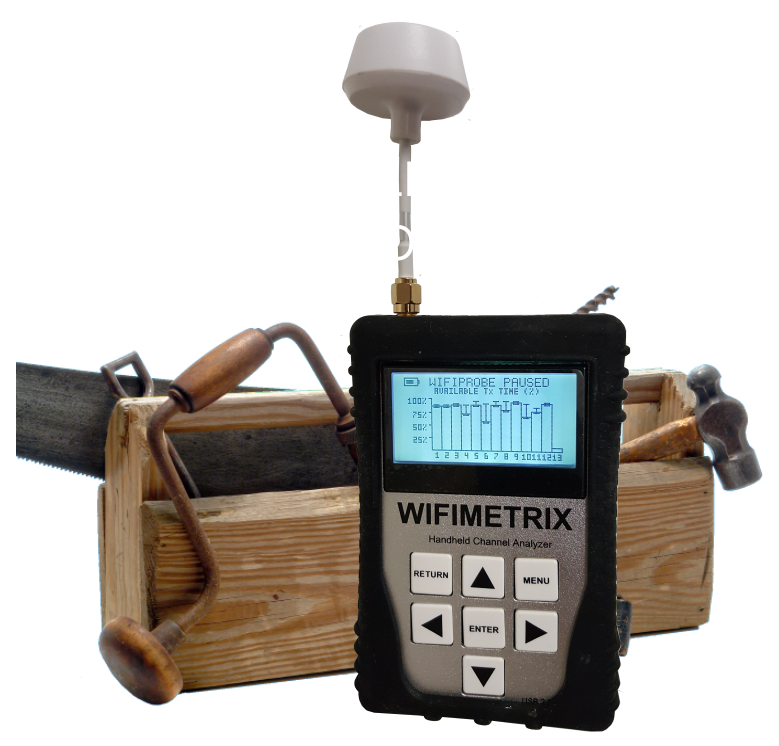 Nuts About Nets has been developing wireless diagnostic tools and software since 2006. Our focus is low-cost, easy-to-use tools that professionals and non-professionals alike can use to solve real-world problems related to RF interference, Wi-Fi congestion and intermodulation distortion. Our track record speaks for itself — both in the width and breadth of new, innovative products we’ve developed. With patents for Wi-Fi channel optimization and intermodulation analysis, we’ve demonstrated an ability to approach old problems from new perspectives.  Whether your objective is to troubleshoot a problem with a Wi-Fi network, coordinate wireless transmitters and monitor frequencies for a live event, test your RC gear, detect sources of RF interference or rogue transmitters, or you simply require a general-purpose instrument to measure RF transmissions across a frequency spectrum, then check-out our products to see how they can help solve your wireless needs in today's increasingly crowded and unpredictable RF spectrum. Being surrounded by wireless devices and RF transmissions means that sources of RF interference and intermodulation distortion (IMD) can come from anywhere. In such a "hostile" RF environment there are diagnostic tools available to help us mitigate the negative affects of RF interference and IMD on our wireless audio gear and applications. Clear Waves is a “game-changer” — the industry’s first product that includes both realtime RF spectrum analysis and intermodulation analysis. 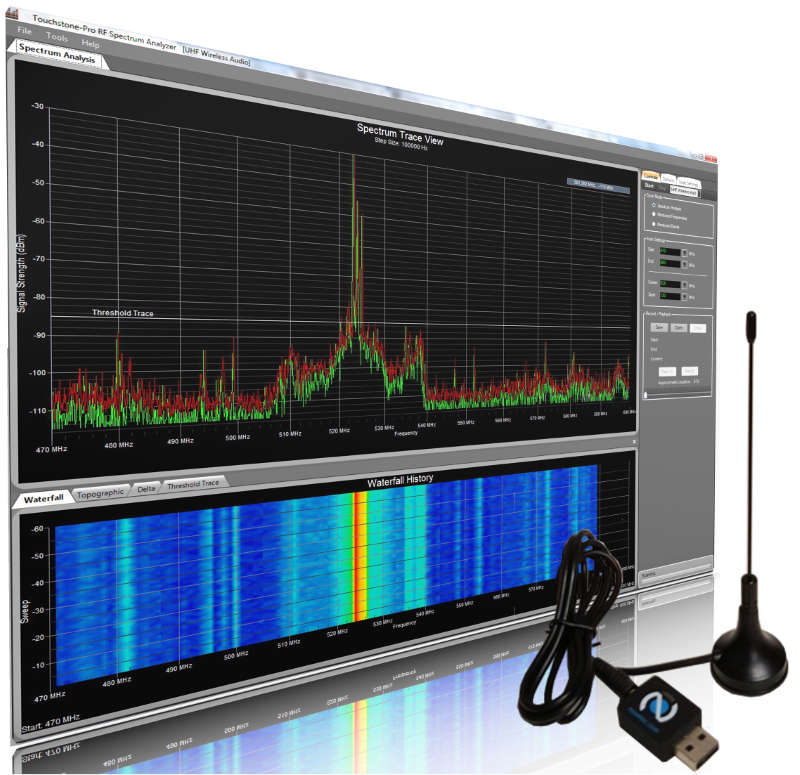 Clear Waves is a software / hardware product that provides precise, wideband RF spectrum scanning, visualization and channel coordination that is critical for success when working in a crowded RF environment. Intermod Assist is a ground-breaking software tool specifically designed for the wireless pro-audio ndustry. It rapidly computes and generates frequency sets of intermodulation distortion-free radio frequencies, applying user-defined signal bandwidths and channel spacing. These frequency sets can be used to coordinate transmitter frequencies where the goal is to assign the most reliable channels to your wireless audio — that is, channels free of intermodulation interference. 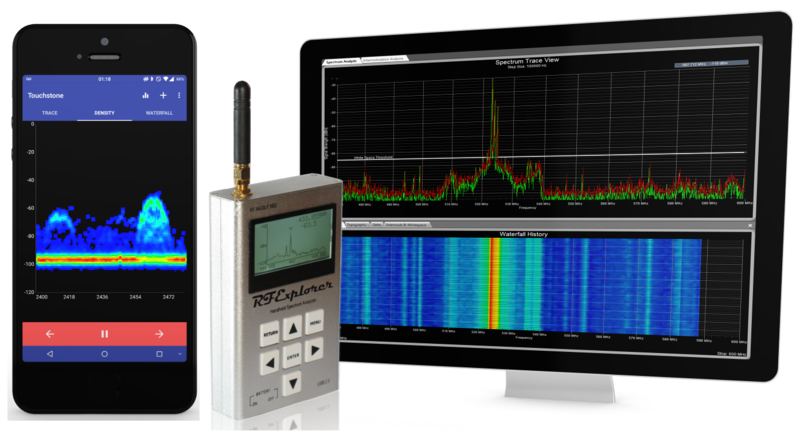 RF Explorer operates both as a standalone, handheld RF spectrum analyzer and also interfaces with a PC running more sophisticated data analysis software. There are several models in the RF Explorer series of RF spectrum analyzers that span different frequency ranges — from 15 MHz up to 6100 MHz. Don’t let the price fool you — the performance of these small, affordable devices compares favorably to more expensive and bulky test equipment. Prices begin at only $129 USD. With wireless systems it is very difficult to predict the propagation of radio waves and detect the presence of interfering signals without the use of test equipment. Radio waves don’t travel the same distance in all directions — instead walls, doors, elevator shafts, people, and other obstacles offer varying degrees of attenuation, which cause the Radio Frequency (RF) radiation pattern to be irregular and unpredictable. An RF spectrum analyzer is the tool of choice when it comes to troubleshooting wireless problems related to RF interference. The RF Explorer handheld spectrum analyzer is available in both single-band (2.4x GHz ISM band) and dual-band (2.4x GHz and 5.x GHz ISM band) models. RF Explorer devices can be used stand-alone or combined with WiFi Surveyor software, which runs on your Windows PC. RF Viewer employs a DVB-T dongle based on the Realtek RTL2832U chipset that supports a USB 2.0 interface. It can be used as a Software Defined Radio (SDR). The folks at Osmocom developed software to interact with the chipset and called it RTL-SDR. Nuts About Nets supports RF Viewer by developing PC-based software to enhance the functionality of the device.